NEC’s SL1100 offers a competitive starting price and a low cost terminal range meaning you don’t need a large upfront investment to get your business communications up and running quickly. The feature rich solution provides Auto Attendant and voicemail at no extra cost, ideal for small companies with limited budgets. Plus with the option to choose from multiple carrier interfaces including SIP, the SL1100 lets you take advantage of VoIP technology to reduce your call costs. Should your business grow over time the SL1100 has the flexibility to grow with you, as an entirely scalable solution with the option to expand up to a maximum of 40 extensions. Why choose the SL1100 ? In today’s highly competitive business environment, effective and reliable communications are critical to a company’s success. 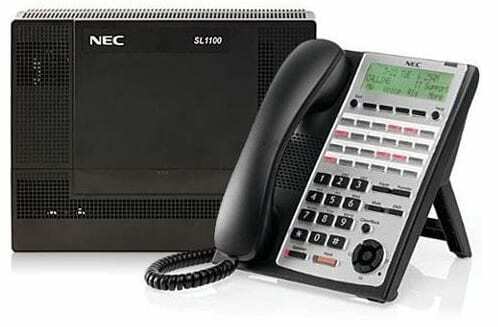 Therefore, it is important that you invest in a unified communications solution that allows you to take advantage of the latest productivity-enhancing IP applications that can deliver increased performance throughout your organisation – that solution is NEC’s SL1100 Communications System. This unique platform is the ideal solution for any small business. The SL1100 makes your team more reachable, responsive and productive. • Use your mobile phone to stay connected through your office number, from anywhere. Intuitive applications to increase efficiency and productivity NEC’s SL Desktop Suite delivers to you an integrated unified communications (UC) solution that enhances your organization’s productivity and collaboration. This productivity-boosting solution offers you key functions that deliver excellent business benefits. The SL Desktop Suite’s Desktop Client is an intuitive application providing full call control from your PC screen. With just a few clicks of your mouse, you can click-to-dial, manage calls and look up contacts. It also easily integrates with your Microsoft® Office Outlook® contacts to provide. The SL Desktop Suite’s CRM integration offers businesses seamless application access to leverage and manage their information more efficiently. When a call is received from a customer in your CRM database, this integration provides a pop-up with their information which enables you to offer them better service. The SL Desktop Suite integrates with Salesforce®, Time Matters®, Tiger Paw®, Gold Mine®, ACT® and browserbased CRM systems. whether you’re traveling or sitting in traffic. – Company specialists can now be empowered to maintain high service standards when out of the office since they remain reachable from any location. – Salespeople can use Mobile Extension to ensure that even when they’re on the road, they never miss a call which could lead to a lucrative business opportunity. – With DECT handsets for wireless voice communications, you can keep in-touch with customers and colleagues from any in-building location. • Make calls from your smartphone using your office telephone system. Your office caller ID is displayed to the caller – masking your personal cell phone number. • Talk on your smartphone utilizing a Wi-Fi hotspot at the office, at home or even at a public hotspot – and not use any of your cellular minutes. • Easily Hold and Transfer calls to other stations within your office telephone system. • Access your work Voicemail directly from your smartphone. you are. You can even choose to receive email notifications with the message included as an audio attachment. No matter what you’re up to, you can have the right recorded message to match. With three personalized greetings, you can select the one most appropriate depending on your availability or the time of day. reference at a later time. Handle incoming calls with ease. 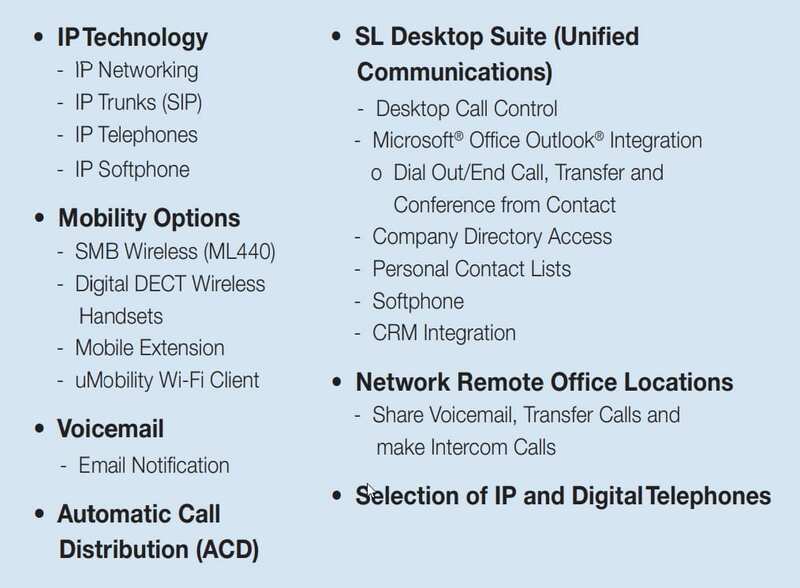 The SL1100’s Automatic Call Distribution (ACD) efficiently routes callers based on pre-established criteria. ACD is often found in offices that handle large volumes of incoming phone calls from callers who have no need to talk to a specific person, but who require assistance from any of multiple persons at the earliest opportunity. When all agents are busy assisting callers, the outside party can listen to periodic Announcement messages while waiting for an agent to become free. between your business and your customers quick and easy. Extend the reach of your communications. With the SL1100’s networking capabilities, you can extend the reach of your communications to remote offices and mobile workers and ensure that your business can collaborate effectively. 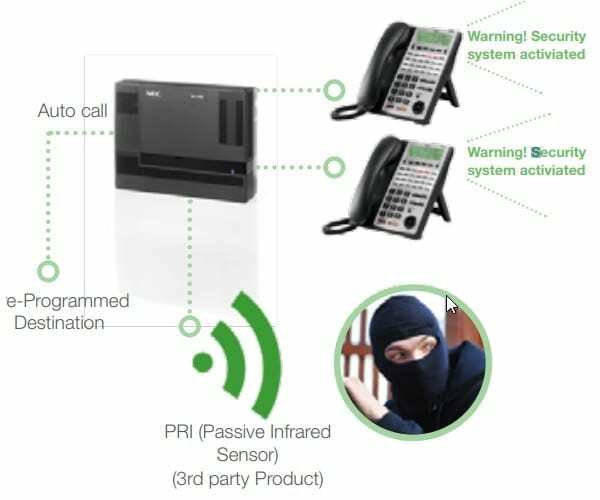 You can eliminate duplication and improve efficiencies by transparently sharing a single voicemail and intercom system. It also enables you to share trunks and transfer calls easily. 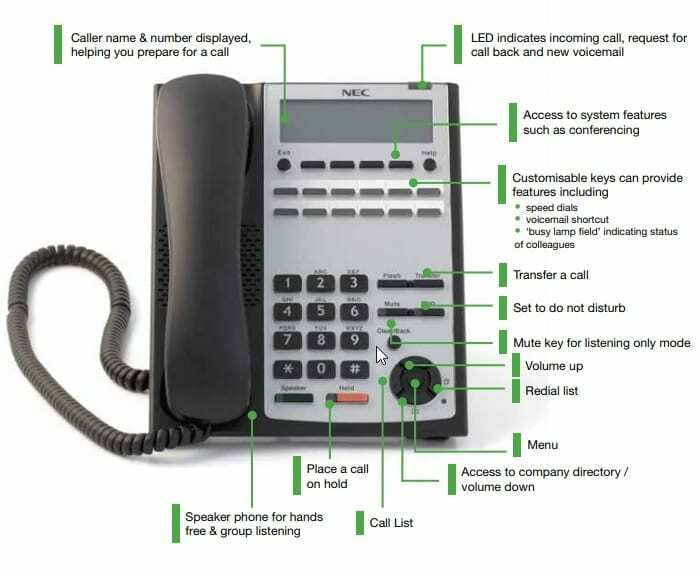 Want more information on the NEC SL1100 Handsets. Find it all here.